If you grew up in the UK in the 1980s, you’re probably familiar with the Acorn Computers brand. The company produced a number of popular microcomputers, such as the Acorn Electron and the Acorn Archimedes. It’s best known as the maker of the BBC Micro -- the education focused computer found in many schools across the country (and which was the inspiration for the Raspberry Pi). Brand nostalgia is a big thing right now, with modern versions of old computers -- like the ZX Spectrum and C64 -- making their way on to the market. If you were an Acorn devotee back in the day, the good news is there’s a new smartphone for you, arriving in time to commemorate the brand’s 40th anniversary. The bad news is it isn’t a great smartphone, or even a custom built one. 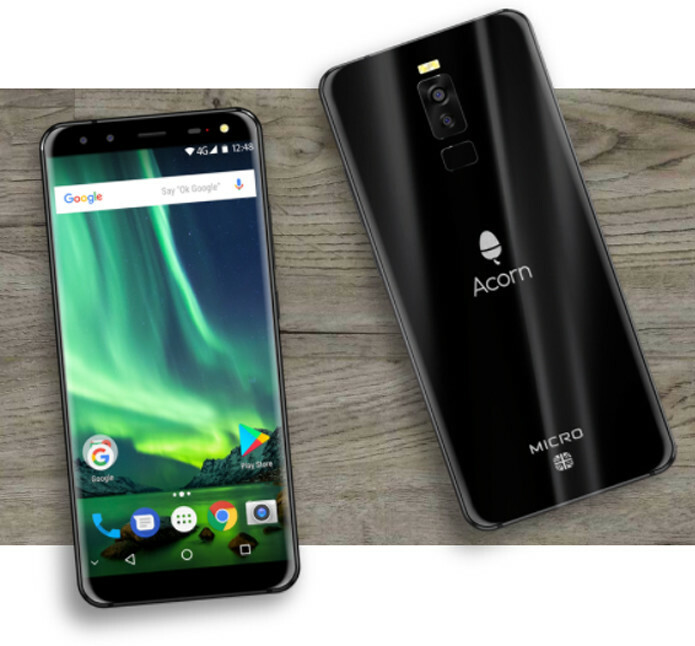 Currently live on Indiegogo, the Acorn Micro Phone C5 is available to back for between £90 ($125) and £150 ($210), plus shipping. Acorn Inc. -- which, aside from the name, has nothing to do with the original company -- is seeking a fixed goal of £450,000 and has currently raised just £500 of that -- from five backers -- with a month to go. It comes with the Acorn logo on the back, along with a Union Flag, for "British people to be proud of." The device itself is, however, being made in China. As Engadget correctly points out, it also appears to be little more than a rebadged Leagoo S8, so really all your money is going to is that phone, with a different logo on the back. Still, if you loved Acorn, and want the world to know, you can back the campaign for the Acorn Micro Phone C5 here.